Succour is on the way for motorists plying the Ughelli/Asaba Road as the Delta State Government has approved the completion of the dualization of (Section C2), Ogwashi-Uku to Asaba axis of the road. Speaking after the State Executive Council (EXCO) meeting presided over by the State Governor, Senator Dr. Ifeanyi Okowa, in Asaba on Tuesday, the State Commissioner for Information, Ogbueshi Patrick Ukah, stated that majority of the decisions taken were in line with the determination of the State Government to take advantage of the dry season to achieve a Lot in construction of roads. Also approved are the construction of Kwale-Beneku Bridge and approach roads in Ndokwa West and Ndokwa East Local Government Areas and the construction of Olomoro internal roads in Isoko South. Other roads that got the nod of the EXCO are the construction of Obi-Ogo Eziokpor/Umuoshi Eziokpor Road in Ukwuani Local Government, that of access road from Otumara Road to Western Delta University, Oghara, Ethiope West, Egbo bypass, Igbide, Isoko South, Niki-Tobi and Market Roads, Essama in Bomadi Local Government. Ogbushi Ukah further disclosed that the state Commissioner for Basic and Secondary Education, Hon. Chiedu Ebie, informed members of EXCO of the flag-off of the training programme for Principals and Teachers by the wife of the Governor of the state, Dame Edith Okowa. 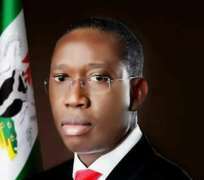 These approvals are confirmations that the State Governor, Senator Dr. Ifeanyi Okowa, truly deserve the award of Driver of Infrastructural Development in the Country bestowed on him by Prospers Strategy Limited at the Nigerian Infrastructural Development Awards 2018 recently in Abuja.